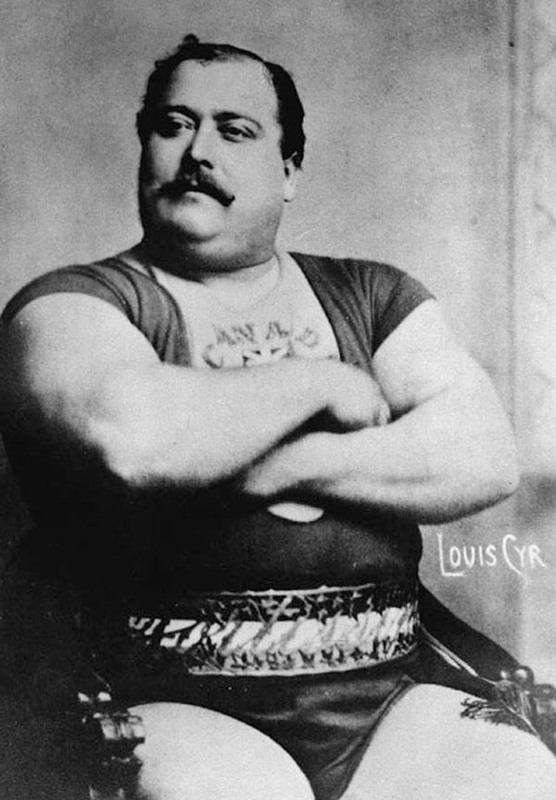 Louis Cyr (born Cyprien-Noé Cyr, 11 October 1863 – 10 November 1912) was a famous French Canadian strongman with a career spanning the late 19th and early 20th centuries. His recorded feats, including lifting 500 pounds (227 kg) with one finger and backlifting 4,337 pounds (1,967 kg), show Cyr to be, according to former International Federation of Body Building & Fitness chairman Ben Weider, the strongest man ever to have lived. In 1878 the Cyr family immigrated to Lowell, Massachusetts in the United States. It was in Lowell that Cyr changed his name from Cyprien-Noé to Louis, as it was easier to pronounce in English. Again his great strength brought him fame. At seventeen he weighed 230 pounds (104 kg). He entered his first strongman contest in Boston at age eighteen, lifting a horse off the ground; the fully grown male horse was placed on a platform with 2 iron bars attached enabling Cyr to obtain a better grip. The horse weighed at least 3⁄4 short tons (0.68 t). At 19 years old, he lifted a rock from ground up to his shoulder, officially weighted at 514 pounds. He beat Eugen Sandow’s bent press record (and therefore the heaviest weight lifted with one hand) by 2 pounds (0.91 kg) to a total of 273 pounds (124 kg). Perhaps his greatest feat occurred in 1895, when he was reported to have lifted 4,337 pounds (1,967 kg) on his back in Boston by putting 18 men on a platform and lifting them. One of his most memorable displays of strength occurred in Montreal on October 12, 1891. 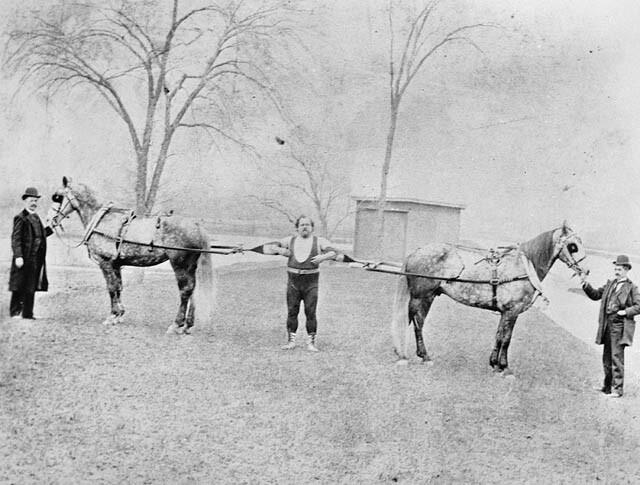 Louis resisted the pull of four draught horses (two in each hand) as grooms stood cracking their whips to get the horses to pull harder, a feat he again demonstrated in Bytown (now Ottawa) with Queen Victoria’s team of draught horses during her ‘Royal’ visit. While in Bytown (Ottawa) he volunteered with the police when they took deputies to round up a local gang of miscreants; they turned him away claiming he would be too slow due to his bulk. He challenged the regular officers to a foot race, beating the majority, and they took him on. He patrolled as a police officer between 1883–1885 in Sainte-Cunégonde, known now as Petite-Bourgogne (Little Burgundy) in Montreal. 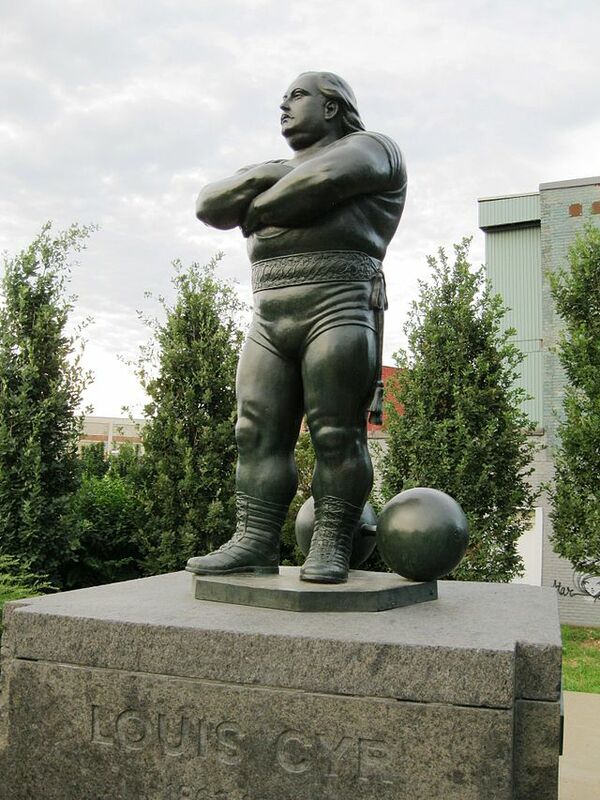 Both the Parc Louis-Cyr and the Place des Hommes-Forts (“Strongmen’s Square”) are named after him. Statues of him are located at Place des Hommes-Forts and the Musée de la Civilisation in Quebec City. The highschool in his hometown of Napierville is also named after him. At his peak Louis was 5 feet 10 inches (178 cm) in height and weighed 310 pounds (140 kg), with a 21-inch (53 cm) neck, a 54-inch (140 cm) chest, a 45-inch (110 cm) waist, 22-inch (56 cm) biceps, 19-inch (48 cm) forearms, 11-inch (28 cm) wrists, 33-inch (84 cm) thighs, 23-inch (58 cm) calves. Cyr died in 1912 of Bright’s disease (now known as chronic nephritis). 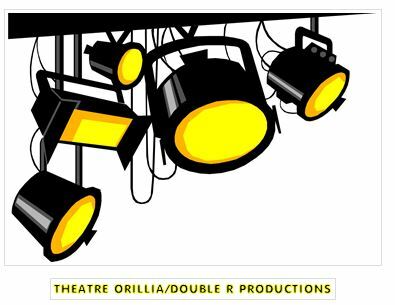 Theatre Orillia is a community based theatre company located in Orillia, Ontario – the setting of Stephen Leacock’s Sunshine Sketches of a Small Town. As is not unusual for community theatres, it could use a helping hand, financially. If you would care to be a theatre ‘angel’, just navigate to the following URL:https://www.kickstarter.com/projects/886814721/theatre-orillia-summer-season-2015?ref=email.